It’s time to bring you the newest program that takes your training to the next level. By request I give you the most user friendly and in depth program I’ve ever released and this is for both men and women of all ages! I just completed Slam2 and I already can’t wait to start it again. I absolutely loved the first BeSLAM and I wondered how Lauren could possibly make another program to rival its efficacy but she DID! Slam1 prepared me for the higher volume and intensity of Slam2 and I am reveling in the results! Not only have I made strength gains but this programs packed on some definite MUSCLE! LOVE.THAT!!! Once again Lauren has given us a structured program that is easy to follow, challenging, fun, and above all, it WORKS! Round 2 of BeSLAM2 here I come!!! In 2015, I got a blog post in my email written about Eileen L and her journey with BeSlam. It inspired and amazed me more than I can put into the right words. Moreover, I found countless testaments from folks from all over the world about how this program changed their lives. All had written that they are stronger and more energetic then ever before. I wanted those results! The question was – which BeSlam? There are two now. I flipped a coin. BeSlam2 won the toss. Each workout took me between 30-40 minutes to complete (depending on if you add a warm up and cool down – which I do). This was my preference because I like the longer duration workouts. Plus, the workouts for BeSlam2 are less frequently done because Lauren combines the strength and conditioning work into each workout. 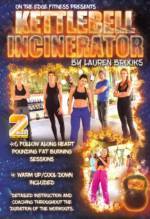 Lastly, I liked how Lauren had come up with names for each workout. I could tell from the BeSlam2 videos – this program is truly a labor of love. Results: In 12 weeks, I shed 11 pounds. I started at body weight of 203# and ended at 192#. Also, I dropped four clothing sizes. You can believe I blew up Lauren’s email every time I dropped a clothing size! Next, I went from using body weight and 9#/4kg bell to a 26# or 12kg bell for cleans, presses, snatches, and high pulls, and 35/16kg for swings, lunges, squats, and deadlifts. I have more energy, and am stronger now in my 40s than I was in my 20s and 30s. I went and completed BeSlam after I finished this one. I have become more confident and more comfortable in my own skin. It has helped me find the strength to make some necessary and important changes in my life that I wasn’t strong enough to do before. Lastly, I have been able to handle whatever life has thrown my way from a place of strength. I like it so much that I went back and started it again in 2016! I recommend BeSlam2 to anyone looking to get strong, to have more energy, and change your life for the better! Just finished Be SLAM 2 yesterday! Loved it! I am definitely stronger now. I have always been a 3 workouts a week kinda girl, but it was easy to keep up with the 4 and they held me accountable. I’m starting Be SLAM 1 tomorrow-can’t wait! 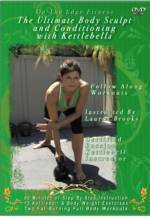 It’s been a year since I discovered Lauren Brooks DVDs workouts. Since then, I have lost weight, lost inches, firmed up and have muscle definition. I’m the healthiest I have felt since I was in high school and running track. I have finally found something that is effective and that I enjoy. I tell everyone I know about Lauren and Kettlebells. The only downside is that I need to do some serious shopping for clothes is sizes I haven’t fit into since my early 20s.